Imagine an island thousands of miles away with swaying palm trees, pristine beaches and a turquoise lagoon teeming with the world’s most vibrant marine life. And imagine spending days of utter indulgence with your loved one here at Angsana Resort & Spa Maldives Velavaru. 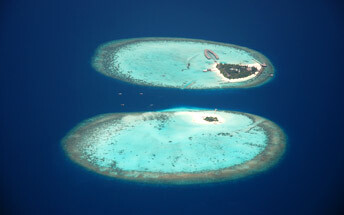 Dhaalu Atoll is virgin territory when it comes to tourism. Many of its dive sites, reefs and islands are virtually untouched and definitely worth a day’s visit, or two. From island hopping, dolphin watching to snorkeling safaris and night fishing, you’ll find no lack of activities and excursions here. Dotting the circumference of the island, the 79 villas open out to spectacular views of the Indian Ocean. The Velavaru and Angsana Villas are the peak of style and opulence. Private beach-fronts kiss their doorsteps, while through the doors lie a veritable expanse of luxury. An ideal venue for your wedding ceremonies, the magnificent dhoni-shaped wedding pavilion is the ideal locale for your walk down the aisle and exchange of vows; the resplendent Indian Ocean playing host and witness to the dramatic occasion. Or have your special nuptials conducted on the beach, underwater in our gorgeous house reef or on a secluded sandbank specially prepared for just the two of you. The pavilion is also a charming venue to entertain guests over a cocktail reception, dinner event or even host a corporate meeting.